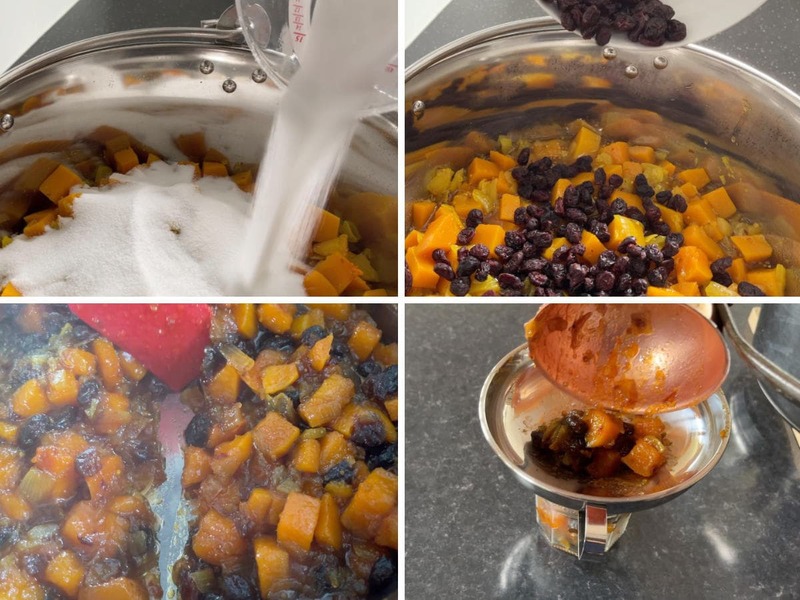 Make Spicy Pumpkin & Cranberry Chutney now & it will be nicely matured in 6 weeks, just in time to serve with cheese & cold meats over Christmas. 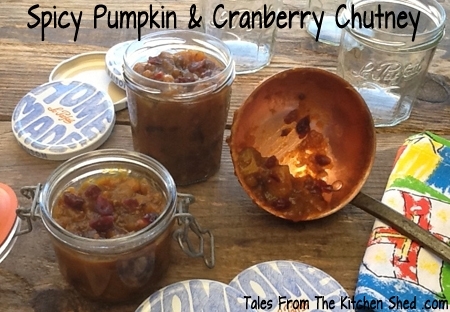 This week’s pumpkin and squash recipe from the Kitchen Shed is Spicy Pumpkin & Cranberry Chutney. A recipe to make use of the insides of Halloween pumpkins – butternut squash works just as well but tends to give a firmer texture to your chutney. Make your chutney now and it will be nicely matured in six weeks, just in time to serve with cheese and cold meats over Christmas. 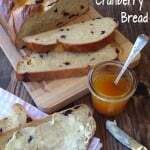 If you make an extra batch and you’ll have a few Christmas gift items for family and friends. I made Spicy Pumpkin & Cranberry Chutney in the slow cooker as it’s the ideal tool for the slow process required when chutney making and there’s no need to worry about your chutney catching on the bottom of your pan or drying out too much. That said, don’t worry if you don’t have a slow cooker because I’ve included instructions for making in the conventional way using a preserving pan too. Add a tablespoon or two to your favourite stew, casserole or tagine. Puree a couple of tablespoons, add a little water and use as a glaze for your Christmas ham or roast. Puree a few tablespoons, add a little water and mustard and use as a dipping sauce. Spread some on toast, layer with cheese and grill – Yum ! Add the diced pumpkin or squash to a large saucepan. Peel, core and dice your apples into roughly the same size as your pumpkin and add to the pan. Peel and dice the onions into roughly the same size as your apples and pumpkin and add to your pan. Add the spices and cider vinegar and give it a good stir. Cover with a lid and bring slowly to the boil, stirring occasionally. Spray the inside of your slow cooker with cooking spray or lightly grease. Carefully transfer the contents of your pan into your slow cooker and place on the slow cooker lid. Cook on high for 1 hour. Remove the slow cooker lid, add the sugar and cranberries and stir. Cook on High for 5 to 6 hours. Check after 5 hours and if it’s not ready, replace the lid propped by the wooden spoon and leave for another hour or so. 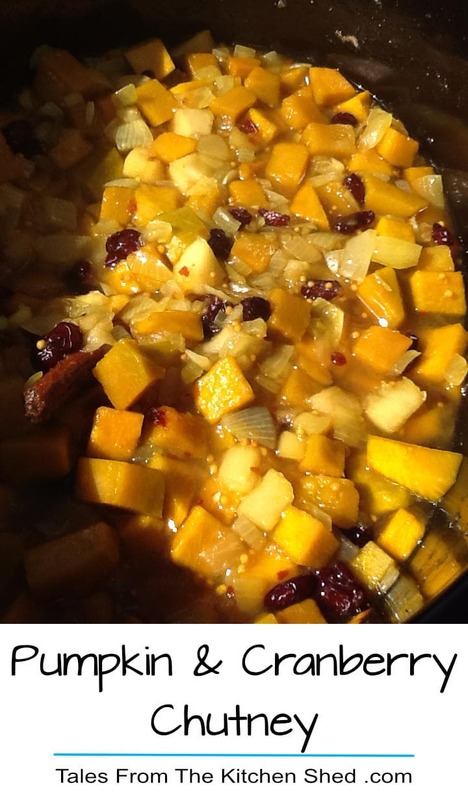 The chutney is ready when the liquid has reduced and the pumpkin and cranberries look plump and glossy. 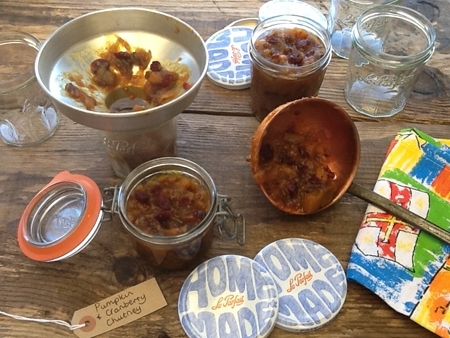 Ladle the hot chutney into warm sterilised jars. Seal with screw top lids rather than cellophane covers. The chutney will keep for up to a year. Serve with cheese, cold meats or your favourite burger. Leave the lid on and simmer on a low heat for about 30 minutes. Remove the lid and take off the heat. Stir in the sugar and cranberries. Return the pan to a low heat and let the chutney mixture simmer for at least 1 ½ to 2 hours. You don’t need to watch the chutney as closely as you would with jam but you do need to keep an eye on it so you can stir it every now and then to prevent it sticking to the bottom of the pan. The chutney will keep up to a year. The Extra Veg Challenge created by Michelle from Utterly Scrummy & Helen from Fuss Free Flavours & hosted this month by Helen. Credit Crunch Munch created by Camilla from Fab Food 4 All & Helen over at Fuss Free Flavours & hosted this month by Elizabeth at Elizabeth’s Kitchen Diary. You’re most welcome Simone, it’s really great to hear you’ve made the chutney three years in a row. You’re so right, the chutney goes well with nut roast too. Thanks Elizabeth, I’m glad I added the ideas now, I wasn’t sure whether to include them or not. I don’t like to waste the odd bit left in a jar. 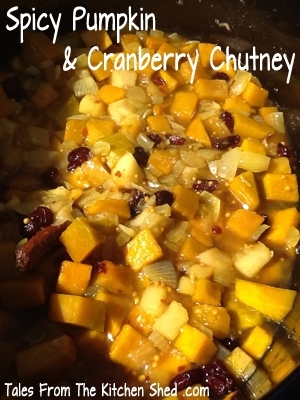 I love chutney, and would love a good dollop of this with cold turkey and ham on Boxing Day. I love chutney, in many ways and this one looks gorgeous as well as tasty! I worked in fine dining for many years and loved fish topped with a chutney. This would be so good on a grilled salmon or broiled sea bass or halibut! I am hooked. Pinning so I can try this myself. Thanks! 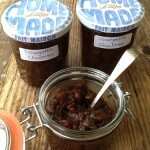 There is nothing better than homemade chutney and this looks like a fab combination! Thanks for linking up with us for Fabulous Foodie Fridays, have a great week! I love this idea as a way to make gifts. I have never made chutney before, and this looks like a delicious recipe. Thanks for sharing! This is perfect for this week since you can use the insides of Halloween pumpkins! It’s wonderful that you don’t let anything go to waste. The dish sounds like a beautiful blend of flavors as well. Thanks for bringing this comfort food to the fiesta, and I hope you have a fabulous weekend! Another great recipe! I love the idea of homemade gifts, and this one would be delicious on so many things, especially the ham. 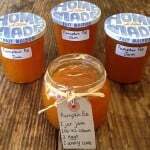 Thanks Julie, I think family & friends really appreciate a homemade chutney at Christmas, perfect for all the Christmas hams & cheeses. Perfect for Christmas. Thanks for linking up to #tastytuesdays, please add my badge if you can. Thank you. Looks like spicy is a constant in your recipes, because spicy is bad for my tummy, I would have to try these recipes without the spices I’m afraid. Do you think that that will ruin the recipe?